Why would I need self storage in Deerfield, IL? There are a variety of reasons why you might need self-storage in Deerfield, IL. How much is a storage unit in Deerfield, IL? The cheapest storage unit in Deerfield, IL is $30.00 per month. What size storage units do you have available in Deerfield, IL? In Deerfield, IL we have sizes that range from 5'x5' to 10'x20' to suit your storage needs. How much is it for a 5'x5' storage unit in Deerfield, IL? The cheapest 5'x5' storage unit in Deerfield, IL is $30.00 per month. Deerfield is a large village in the Chicago metropolitan area, part of Illinois' Lake County. It's conveniently located eight miles northeast of Mount Prospect and 23 miles northwest of downtown Chicago. Its many parks, including Deer Spring Park, Deerfield Park, Jaycee Memorial Park and Woodland Park, provide space to play and connect with nature. While it has all the facilities you'd expect of a modern community, Deerfield's past is remembered at Deerfield Historic Village, which consists of five historic buildings. The Potawatomi Native Americans were Deerfield's original residents. The first white settlers, Horace Lamb and Jacob B. Cadwell, arrived in the area where Deerfield now stands in 1835. They called it Cadwell's Corner, but this name was changed to Leclair during the 1840s. The area flourished, mainly because its rivers provided a convenient form of transportation. By the 1850s, another name change was proposed. This time the community was renamed Deerfield, a nod to a local settler's hometown as well as the large deer population in the area. The small village served several roles throughout history, with one of its most important being a stop on the Underground Railroad. Resident Lyman Wilmot provided his home as a haven for escaped slaves traveling to Canada. In the 1960s, Deerfield was chosen as the site of the Kitchens of Sara Lee, the world's largest bakery at the time. The production plant was of note for its state-of-the-art equipment, and was the first industrial plant to have fully-automated controls. Since then, Deerfield has been a leader in the creation and passing of many city ordinances. It's also been named one of the best U.S. cities to raise children, receiving attention for its low crime rate, numerous recreational activities and affordable cost of living. Deerfield's unemployment rate is slightly greater than the national average. However, positive job growth in the village indicates its economy is strengthening. Deerfield is also close enough to Chicago for commuters to explore job opportunities in this large city. The majority of Deerfield's jobs are in the professional, scientific and technical sectors. Health care and social assistance are the second largest employing industries in Deerfield, followed by manufacturing. Several major companies including Walgreens, Mondelez International and Takeda Pharmaceuticals are based in Deerfield. Deerfield's educated population is one of the key draws for these businesses and others based in this Illinois village. A large percentage of its adult residents have at least a bachelor's degree, well above the national average. Deerfield also has more artists, designers and media professionals than most American communities. These factors attract a number of businesses to the village, which is good news if you're in need of a job in the area. Deerfield Public Schools District 109 is responsible for the local schools, including elementary schools, middle schools, a summer school and a preschool. There are a few private schools in the community, with both secular and faith-based campuses available. Trinity International University offers a number of degree programs in Deerfield, and is a conveniently-located option if you're considering pursuing higher education. Utilities: Like many communities in the Chicago metro area, Deerfield receives electricity from Commonwealth Edison. The village manages residential water and sewer services. Garbage and Recycling: Your trash and recyclables will be collected on a weekly basis. The village is split into two collection zones, so your home's location will determine your specific pick-up date. Transportation: There are two Metra stations in Deerfield, providing easy access to downtown Chicago. Deerfield offers a range of housing options, from the single-family homes of Bristol Estates, Clavinia and Colony Point to the townhouses of Inverrary, Park West and Woodland Park. Deerfield home prices are, on average, significantly more expensive than the state and national averages. 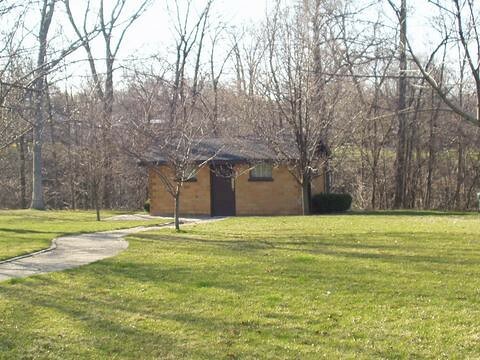 Our lowest priced units in Deerfield, IL average $30.00 per month. 11 people have reserved units in Deerfield, IL in the past 30 days. There is 1 location within Deerfield, IL's city limits. There is 1 location in Deerfield, IL that offers AC and Heating features.